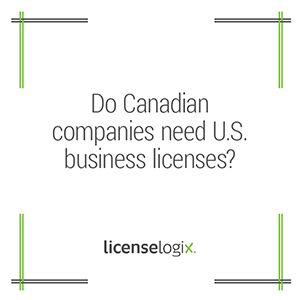 Do Canadian companies need US business licenses? Installation of water park equipment in the U.S. commonly requires a contractor’s license. Contractor’s licenses may be issued by the state, county, or city. Many contractor licenses require as a prerequisite that the business entity is foreign qualified in that state. You can either qualify your Canadian company in those states, or register a domestic US company in one of the states where you do business (to save on one foreign qualification), or in one of states that offer friendly incorporation environment such as Delaware or Wyoming, and then foreign qualify it in the states where you are offered jobs. Additional licenses that your business may need include obtaining an EIN, tax registration, and local business licenses. We can help guide you through the process of 1) determining what business licenses are required for each project and 2) preparing and filing application(s) so that your business receives licenses quickly. Contact us now to get started.